The Officers and Committee of the SDA would like to thank our team of helpers for bringing their hounds to the Dachshund booths at Discover Dogs, ExCel this weekend. Without you, we wouldn’t be able to help potential buyers and current owners to learn more about the breed. Hopefully, we helped people understand they are not “toy dogs” and that they need plenty of mental stimulation and physical exercise. All the dogs were brilliantly behaved and great ambassadors. They had so many cuddles and lots of pictures taken. Facebook and Instagram must be full of Dachshunds! Cadbury, Foxy and Almond represented the Wires at ExCel today. The Mini Smooths and Mini Wires were amazingly popular, as always, and will all go home to sleep it off after hours of cuddles and fussing. We gave away all our booklets “Dachshunds: A dog for all reasons“. Thanks to all our helpers over the weekend. You did a brilliant job helping to educate potential owners and offering advice to current owners as well. A busy day for the SDA team at Discover Dogs. Come and meet the Dachshunds at Discover Dogs this weekend. The Southern Dachshund Association will be hosting the Dachshund booths, so there will be experts on hand to answer your questions and plenty of dogs to meet and cuddle. 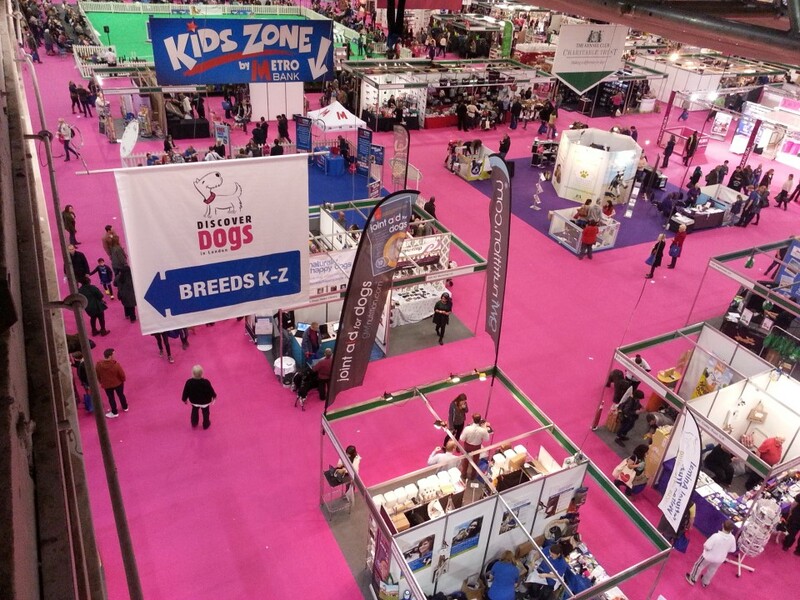 This year, Eukanuba Discover Dogs will take place on 21st and 22nd October 2017 at ExCel in London where you will have the chance to meet hundreds of dogs (not just Dachshunds), shop the latest dog fashion, chat to owners and watch world-class displays in competitions. A huge “thank you” from SDA’s Officers and Committee to everyone who helped us at Discover Dogs over the past weekend. Dachshunds were, as always, incredibly popular and all the dogs were so well-behaved, being admired, photographed and cuddled. Can they walk very far with those little legs? Are they OK in a flat? Do they get on with other (bigger) dogs? YES – see photos below! Our thanks to all our helpers for making Discover Dogs another successful day for promoting Dachshunds. Lots of people asking about the breed as potential owners were already aware of the importance of cord1 PRA testing the Miniatures and Lafora testing the Mini Wires. Here are a few pictures from Day 2. You can see we were swamped with visitors and also had a visit from Peter Purves (who owns four Wires).